From décoration to food, Giant Santa wants to make sure everything can be found under one roof. Saving your time from making several shopping trips. 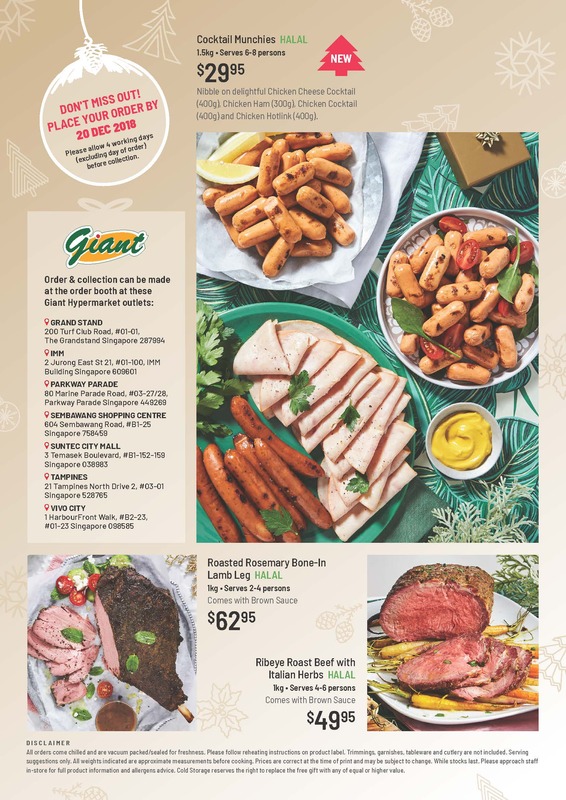 This year, Giant is partnering with Cold Storage to help you become the celebrity chef of your social circle. Parties just got easier! 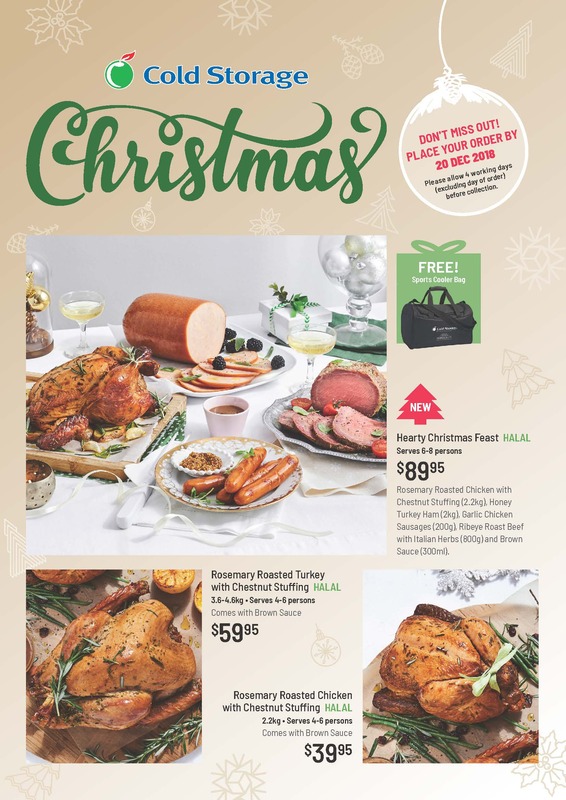 At the selected Giant Hypermarkets, you can make your order placements of delicacies such as succulent turkeys, roasts and other savoury foods from Cold Storage fresh order booth! All of them are halal too! Perfect for a party with your muslim colleagues and friends. Items will be ordered from the booth and is available for collection at the outlet itself within the next few days. Giant Santa wants shoppers to get the best of both worlds! Shopping for affordable gifts, saving the additional cents and dollars and yet still enjoy delicious Christmas delicacies. Where can you make the orders? Alternatively if you are short on time, you can also get your online orders directly from Cold Storage online platform. Do note that order collection will be at the selected Cold Storage outlets.